A record number of players from across the Skelmanthorpe Brass Band Community joined together for the annual Christmas Tree Service in the centre of Skelmanthorpe just 3 days before Christmas. 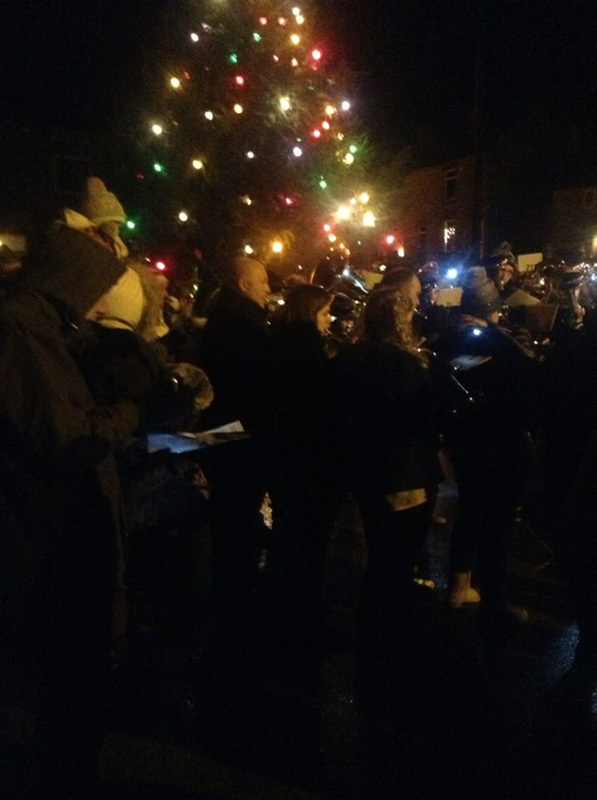 Over 40 players from Skelmanthorpe Band, B band and Training Band accompanied a large number of the local community for 6 traditional carols before playing a few more up to date festive favourites. Our thanks go to Adam Bell for stepping in at the last minute to lead the band.